Losing something of importance hurts, but when you determine its worth, its value increases and so does the effort to find it. My husband purchased the sweetest little dragonfly earrings for me a while back, and this thoughtful gift quickly became one of my favorite items in my jewelry box. The delicate, little studs sparkled in the light, and were just the right size. I wore them when I felt my prettiest and most feminine. On one particular day, I took a shower mid-day (because kids and life), and didn't take them out before hopping in. Usually, this wouldn't be a problem, but this summer I'm rocking braids and the goal was not to get them wet. I had several buns atop my head to achieve this mission. Not realizing there was a loose braid before getting in, I tried to avoid it as I washed behind my ear, but felt the snag of the cloth against what I assumed was the back of the earring. Instead of checking my ear, I finished my shower. When I looked up in the mirror to adjust the stray braid, I noticed that my ear was bare. In a panic, I look around and found the back of the earring on the bathroom rug. Only halfway excited, I began to shake out my braids, hoping that the front of the earring had gotten caught there. No such luck. My heart sank! I stepped over to the shower, frantically scouring it for this earring and chastising myself for not taking them out earlier. I say a prayer in my head, because I just knew all was lost. My eyes shifted to the drain first, hoping that the holes were small enough to have caught the earring. It was not there. I began to scan the tiled area, hoping that the sparkle that I had admired time and time again would somehow catch my eye. Not there. Sadly, I went to my jewelry box with an incomplete earring set. I was distraught. How could I have been so careless? Why didn't I stop and look when I felt the snag? I kept praying asking God for a small miracle, to help me locate this earring. I went back to the bathroom to finish getting dressed, and felt a tug to go back to the shower one last time. This time, a wave of calm washed over me and I was able to look again without panic. And there resting in a slender line of grout, disguised from view, was the missing earring front. It was right there! I cried out in relief and thanked God for helping me go right to it (and not turning on the shower again to wash it down the drain). A parable of Jesus in Luke 15:8-10 describes another woman who lost something of great importance. She had ten silver coins, and had somehow lost one. The good thing about my story and hers is that both items were lost in the home. So all we needed to do was to look for them in the right place. But that's another story for another day. Before finding the earring, I had resigned myself to replacing the set if I couldn't locate the lost front. After a quick internet search, I found out that these particular earrings had been discontinued by the company! Losing something of importance hurts, but when you determine its worth, its value increases and so does the effort to find it. I cannot tell you the joy I felt when I saw the wing of that petite dragonfly on my shower floor. It would have pained me greatly to have to explain to my husband what had happened. Additionally, it would have been an even greater loss if the set could not have been replaced. 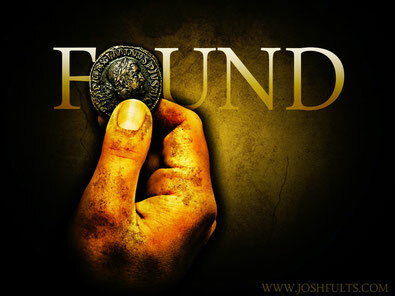 Just like the lost silver coin and my earring, God's desire is to save us. To rescue us from whatever state of "lost" in which we may find ourselves. 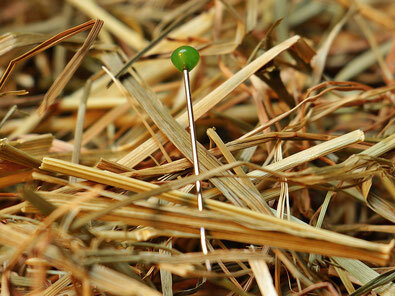 I confess that His effort to find us far surpassed my measly search for my lost earring. After all, He sent His only Son as the search party. I encourage you today, if you can, carve out a few moments to read this parable. It'll change the way you perceive your value. If you've ever felt lost, this is for you. God loves you and is actively seeking you. You are worth much more to Him than a coin or an earring - and knowing your worth is a wonderful thing.